Eggs are foods that are rich in protein, they are known to be one of the healthiest foods found in the world today which people can likely love to consume. When eaten, eggs have the characteristics of making one to feel full, making it less possible to pile up calories through over eating. Without much discussion, below are seven reasons why you should eat eggs due to their nutritional content that has been confirmed in many studies. Eggs possess a high satiety index, which means they make people feel full longer, according to research and obvious observations. 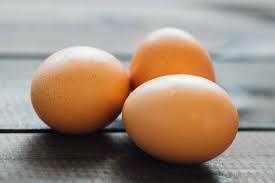 One large egg is able to supply a variety of essential nutrients and vitamins such as protein and vitamin C allowing improved performance in any challenging environment. Choline belongs to the vitamin B group, which builds cell membrane and encourages the brain to function at its best. Since choline is a necessary nutrient that many people do not get enough of, eating eggs regularly can increase choline consumption, according. Eye health deteriorates as people age as it tends to become worse over time. A combined diet of egg, spinach and broccoli will be able to lessen the incidence of cataract by 20 percent. Eggs are rich in antioxidants lutein and zeaxanthine, which are extremely vital in keeping the eyes healthy. Protein is essential to the body since it plays a huge role in building tissues and molecules. One large egg a day is able to provide at least 6 grams of protein allowing increased muscle mass and lower blood pressure. The iron found in egg yolk comes in the form of heme iron, the easiest and most usable form of iron in food. Since iron carries oxygen in the blood, eggs that are filled with iron offer boosted immunity and energy metabolism. Many people try to avoid eggs assuming they are high in cholesterol content, which can lead to stroke, heart diseases or other heart problems. Although high in cholesterol, eggs do not increase blood cholesterol levels compared to saturated fats and trans-fats. Studies have shown that eating eggs for breakfast increases satiety in overweight people, which can eventually help with weight loss. Eggs are inexpensive, readily available and are a meal itself, which makes them useful in most weight loss programs. Those are the few reasons i will like you to have the knowledge of for now. Ensure eggs are included in your diet every week.